The concept of ethical consumption covers broad area and includes various terms such as environmental, health, and well-being. Consumer cooperatives in Korea (hereafter CCK) have been strongly oriented toward pursuing ethical consumption such as labor/worker’s rights, fair price, and safe goods, etc. However, purchasing behavior of CCK members is discordant with their recognition for core value of CCK. In the previous researches, such phenomenon is presented as “Ethical Consumption Gap,” “Ethical Purchase Attitude Gap,” or “Ethical Consumer Paradox.” According to these studies, price, lack of information, reliability of information, convenience, ethical attitude and recognition are found to be the factors generating ethical consumption gap. However, these studies have limitations in terms of measuring the intention of purchase, not actual behavior. 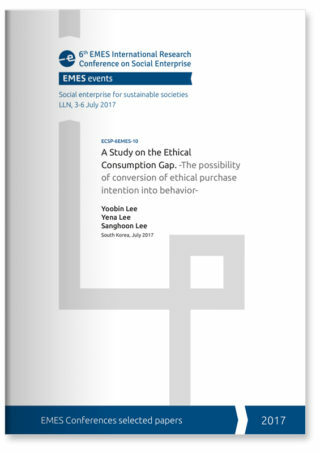 Therefore, the purpose of this study is to find out the gap between ethical purchasing behavior and the purchase intention of ethical products, and to find out the point to resolve or reduce purchasing gap. We conducted 20 in-depth interviews with the participants who well know about or buy ecofriendly/organic products. The interviews were analyzed in two steps using the GDM (Grounded Delphi Method) method, which combines the Grounded Theory and Delphi. This study will increase more understanding for ethical consumer behavior and provide marketing managers with strategic implication for how to reduce ethical purchasing gaps in the future. Over the past decade, ethical consumerism has been extended to a wide range from cultural to social aspects (Carrigan & Attalla, 2001; Crane et al., 2004; Shaw et al., 2000). Reflecting this trend, ethical consumers have become new market segmentation (Crowe & Simon, 2001; Hayes et al., 2007). Especially, consumer Cooperatives of Korea (CCK) pursuing ethical consumption has grown rapidly. CCK has played an important role to provide environment-friendly organic products. 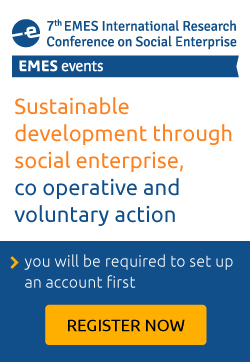 During the past three decades, they gradually expand their business with various ethical products from other cooperatives, fair trade organizations and social enterprises. There are four representative associations of CCK, each named Hansalim, iCOOP, Dure-coop, and Happycoop. The total number of members is about 86 million households, with an annual turnover of 800 billion won (Son et al., 2015). Eco-friendly agricultural products market in Korea, including consumer cooperatives, is expected to be 7,047.49 billion won in 2020, which is equivalent to 20% of the total agricultural market (Kim et al., 2013). Compared with global organic market, organic market in Korea is still at an early stage , but it has been expected that there would be a high possibility of rapid growth. It is because the boundary of ethical market is thought to be able to go beyond organic market, including transportation, donation, leisure, and housing, etc. For example, Freestone and McGoldrick (2008) pointed out that ethical shopping carts can be used in a variety of areas ranging from food safety and health to daily supplies, cosmetics, energy, housing, transportation, donation, leisure. However, the growth rate of ethical market has slowed down, though (Hamm & Gronefeld, 2004). The reasons of decreasing growth rate are pointed out, and the phenomenon called “attitude-behavior gap” is one of them. 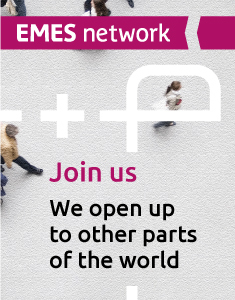 This means that although the market share of ethical product is quite big and awareness of ethical product is increasing, the observed real purchase rate of ethical products is behind the level (Carrigan & Attalla 2001; Roberts 1996; Vermeir & Verbeke 2006). One of the examples of attitude-behavior gap is “30:3 syndrome” which means a phenomenon that 30% of consumers have an intention to buy ethical goods, but only 3% of consumers actually buy the ethical goods (Crowe & Simon, 2001). Studies on ethical consumption gap have been gradually attracting attention since 2000s. These studies based on ethical consumerism were conducted using three theoretical models, such as decision making structure, TPB (Theory of planned behavior), and cognitive model (Fukukawa, 2003). However, These studies were criticized for disregarding the empirical research, and some social psychologists argues that purchase intention directly relate to actual purchasing behavior (Ajzen et el., 2004; Bagozzi, 2000; Carrington et al., 2010; Morwitz et al., 1993; Young et al., 2010).